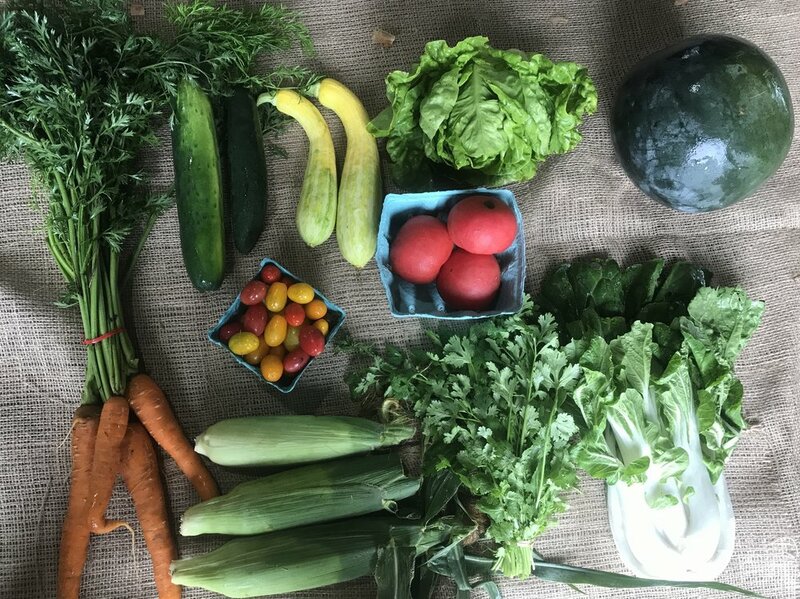 *Please note that this is the actual harvest from last season's CSA (2018). Every year the harvest changes slightly depending on weather, pests, and we change the quantity of certain items that we can alter based on your survey from the last season. Just know that this is a hypothetical season, not a guarantee of what you will receive this year.